Nearly all the colleges and universities use the scores of SAT, the unique entrance exams for providing admission to eligible students. It is a common criteria or a single rule book for gauging the caliber of students. It happens to be a single component of the admission decision process. Factors equally responsible other than SAT scores for college admissions, include high school GPA, personal essay, educational records, personal interview and of course the letter of recommendation. The importance of weight age of SAT may vary at institutes. Admission offices of the schools you are seeking; are in better position to guide you further. Every year in the months of October, November, December, January, March, May and June; SAT may be attempted nationally. Why is SAT test important? Appearing for the SAT test is also known to be an opportunity for shining like a Silver Lining. SAT Subject Tests offer the flexibility to pick up the subject of your choice that you feel confident about giving your best. Individuals who stand out of the crowd with good knowledge about history; this is the time for them to shine. The best ever chance in the academic journey to display your skills in the specific segment you are seeking in your college tenure. I.e. students planning to apply for pre medical program may take up Biology subject in SAT. A few of the colleges do consider higher scores as your extra edge over others. SAT allows you with a flexibility of taking any of the subjects on the day of the test. Individuals who are not confident about which subject they will do their best; can study till d-day and then make up their mind to decide on the subject. The SAT test is scheduled for 3 hours and 45 minutes. The last 45 minutes are dedicated to essay writing; which is critical as the scores for this essay constituent highly to the final scores. Each of the components has a time limit of 1 hour. Individuals are free to attempt one to three tests in a day. What is the Best Score? What are SAT scoring scales? As we all know that SAT scores are a tool used by colleges for admission purpose and hence the importance of such a critical aspect cannot be overseen in any case. These are the scores that can make or break and application leading to a successful career and life. We all have to agree to the fact which is reasonable as well that for a admission authority it would be much more easier to compare the scores in form of numbers instead of concluding; whether a semester in a particular subject to be ranked higher or lower against a state football championship trophy/award. Schools also have to manage their repute in the education field and hence it goes about making the SAT scores public. College or universities with SAT score of 470 in MATH is not been opted by a lot as is not considered to be elite. There is no particular benchmark for a perfect score; however a illustration might through some light on it. As stated above SAT comprises of three parts. The score of each segments can be anywhere from 200 to 800 – making the best possible scores to be 2400 (3 * 800 = 2400). Average scores for each section if roughly is considered to be 500 then the total or the average SAT score happens to be 1500. 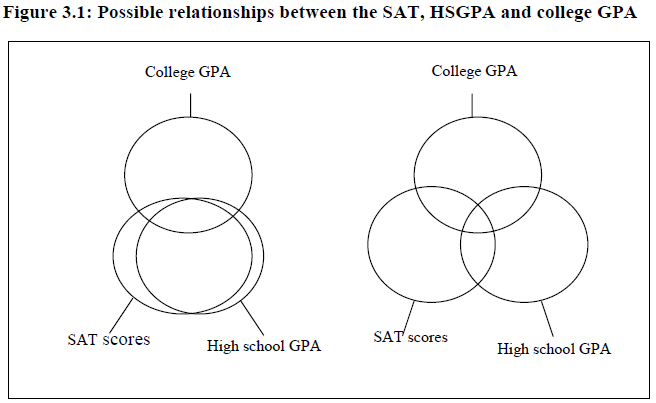 Year 2011 saw the highest average SAT composite percentile rankings from 1.65 million students who appeared; with 489 writing – 514 Math and 497 critical reading. All the sections have individual scoring on a scale of 200-800 points. 2400 is considered to be the perfect score. One may seek further understanding on best university SAT scores or top colleges with the highest SAT scores and student performance scores from SAT website. 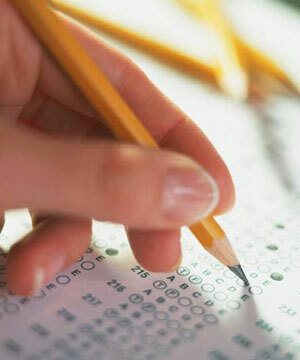 It also may provide guidance for understanding your SAT scores. Practically it is more of the student’s choice when to appear for the test however; it is more helpful to appear for the test when the subject prepared is fresh in the mind. In that case if chemistry course ends in October then one should appear for the test in October or latest by November exam. IT is also observed that not all the tests are held at all the locations; hence checking the details at College Board website cautiously is advisable. Time for SAT Exam Preparations!!! No need to be worried. Students can prepare well and at the same time it also is a chance for you to score the best. ETC claims that the grading of essays has a holistic approach. This means the essay is judged by an overall impression that it is capable to make. The examiners may not spend a lot of time reading the entire content. Few minutes is what they might take to grade it. Graders are supposed to check and read hundreds of test papers. If they cannot interpret or read your paper conveniently; you are likely to get marked down. Students are advised to write neatly. At times it is the quality that matters and Quantity at times. With SAT essay it is the Quantity that matters and hence ensure to write at least 45 lines which is the standard to it. Try and reach as closer as possible. Also make sure to end your essay well before your sheet ends; because extra supplements are not provided. Orderly written essays are the ones loved by the graders. Yes these are the same ones which were been taught long back in the schools; Introductory, body and conclusion…. Ensure to include a precise theory indicating your argument in the beginning of the essay. This is to be followed by three or four paragraphs to support your theory. Conclude the essay with a brief summary of your points. This format usually helps you make your essay look logical, complete and up to the mark. It is advisable to utilize the body paragraph to support your arguments and refer illustrations/examples to yield the best of out of the essay. Get inspired by History or literature classes. Give illustrations of real life scenarios. Not to waste time deciding on the perfect fitment of the example. Ensure that it articulates your argument and thought process. It is always good to use some impactful words here and there but appropriately in the essay necessarily to impress the grader. Using these words as garnishing in the introductory part and the conclusion as well will prove beneficial. Lastly to add up to the entire potion, nowadays more and more colleges and universities are option out for optional test in lieu of the SAT test; which clearly means that in near future the count of 850 -4 year top colleges that do not require sat scores are likely to increase rapidly.